Fiat Chrysler has made a splash at the 2016 North American International Auto Show with the introduction of the 2017 Chrysler Pacifica and the 2017 Pacifica hybrid. 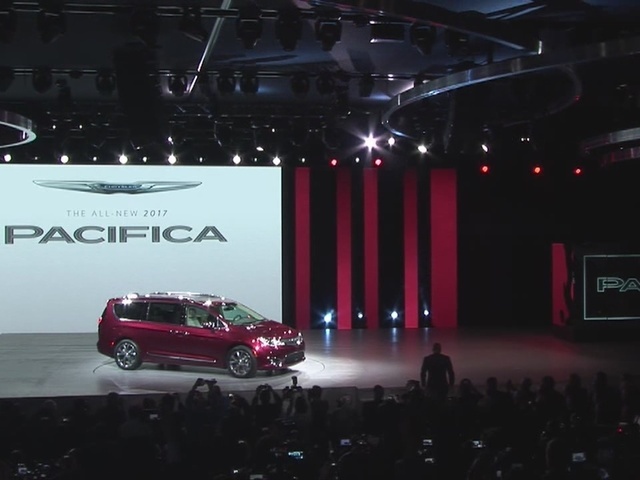 The company calls the Pacifica the new "benchmark" for the minivan. The company also says it boast 40 minivan firsts and was engineered from the ground up. The Pacifica is lighter and stronger than previous minivans and uses sound dampening technology to make it the quietest in its class. Chrysler also concentrated on power and fuel efficiency in designing the Pacifica. As for fuel efficiency, Chrysler says the Pacifica hybrid will get 80 miles per gallon, while changing from battery to gas mode when needed. The minivan also includes the company's 360-degree Surround View camera, ParkSense Parallel/Perpendicular Park Assist, and Adaptive Cruise Control. One of the new features is a kid friendly infotainment system. It includes 8.4-inch touchscreen display and premium audio systems.